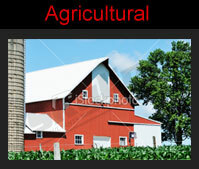 Skyline Consultants & Building Services, Inc.
Scientists say white roofs promote "Global Cooling"
Skyline Consultants and Building Services, LLC specializes in Industrial, Agricultural, Institutional and Commercial roof installation, maintenance and repairs. The success of our business is simple - we can identify and creatively solve all of your roofing problems. 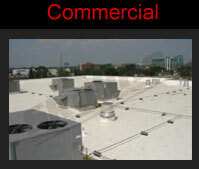 We pride ourselves on developing long term relationships with our customers and their roofs. It's a partnership that lasts well beyond the expiration of your warranty! Since 1979, Skyline Consultants and Building Services, LLC has been aligned with the Conklin Company, a pioneer in the acrylic elastomeric coatings market. 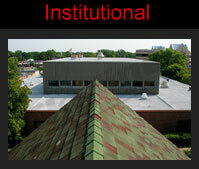 Conklin's energy efficient roofing systems are one of the most innovative and sustainable systems on the market today. The benefits of their durable, cool roofing systems not only offer you peace of mind, but a fast return on your investment. At Skyline Consultants and Building Services, LLC, we are doing our part to help the environment by choosing a manufacturer that has always been GREEN. 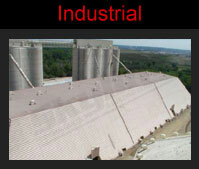 Conklin's high quality sustainable roof systems provide our customers with long-lasting roofing solution that reduces energy consumption, can be applied over an existing roof systems - saving you the cost of tear-offs, while helping to keep tons of used roofing material out of landfills each year. It's a win-win for everyone, especially you, the customer!